Costs of hospital and nursing home care are the stuff of nightmares. However, you have choices to help you pay for the unexpected. By now, we have all seen the terrifying statistics on the cost of long-term care. According to the latest numbers from Genworth, a private room in a nursing home now costs as much as $97,000 a year. Home health care is getting more expensive as well, with the annual price tag at just over $49,000. The costs might seem unsurmountable, but I want you to know that you have options – especially if you begin planning before the unexpected hits. In my experience, people tend to make two big mistakes when thinking about long-term care. Mistake number one is that they believe they won’t be needing it. Statistics tell us that 70% of people aged 65 and older will need long-term care at some point in their lives. The second mistake is thinking that government programs will take care of the large expense. For the most part, Medicare will only cover a portion of the expense for the hospital stay and a few days of nursing home care immediately following it. Medicaid, which is the last-resort option, requires that the individual or the couple have virtually no assets before they qualify (the current limit is $2,000 or less in assets for an individual and $3,000 or less for a couple). Knowing those mistakes and the real-life staggering costs, it pays to plan early. Here is a list of options to consider. Long-term care insurance policies are long, technical and notoriously tricky to understand. And yet, considering one is a smart decision. An average stay in a nursing home is 835 days (or just over 2 years), which brings the nursing home price tag to $223,000 (before considering inflation). In some cases, paying the policy premium would cost less. Those who are younger and in good health can qualify for a lower annual premium, but that choice can also mean more years of paying the premium before you need the policy. Be sure to do your due diligence on the policy, including the research into the financial strength of the insurer, premium raises, daily amount covered under the policy and more. Work with a trusted professional who can help you understand exactly what you are paying for. Couples can look into shared-benefits policies, and hybrid policies can combine elements of long-term care and life insurance. The bottom line is, don’t discount long term care insurance before you dig a little deeper. Bonus tip: Remember that you can use your health savings account to pay a portion of the premium. Limit restrictions apply depending on your age. A Universal, Whole, Term or Group life insurance policy can be converted into a long-term care benefit plan. To qualify, you must have an in-force life insurance policy with the death benefit between $50,000 and $1M, and you must in immediate need of long term care. The decision to convert essentially means that you sell the life insurance policy and place the money into a pre-funded account that can help cover some of the costs of care. Keep in mind that this option is not the same as a life insurance policy with a long-term care rider, which combines life insurance with long-term care insurance and does not require a conversion. A reverse mortgage (also referred to as Home Equity Conversion Mortgage or HECM) allows you to turn your equity in a home into a cash stream. A home owner must be at least 62 years old, must have enough equity in the home to eliminate remaining mortgages, and must have a single-family home. The specific amount of the reverse mortgage depends on several factors, including the amount the home is appraised for, interest rates and the homeowner’s age. Here is a link to a sample reverse mortgage calculator. The unquestionable benefit of a reverse mortgage is that it can allow you to stay in your home and create a cash flow for any of your needs, including retrofitting your home for a wheelchair, paying for skilled nursing care or out of pocket medical expenses. Some of the drawbacks include high closing costs and other fees, so be sure to read the contract carefully. Yes, Medicare can cover certain long-term care costs. It is usually not enough to make up your entire long-term care cost coverage plan, but every little bit helps. Generally, Medicare will pay a portion of the cost for a hospital stay, a few days of skilled nursing care following a hospital stay, physical therapy and certain hospice costs. Medicare does not cover what’s known as “custodial care” (or non-skilled personal care including help with dressing, feeding, getting in and out of bed, moving around and using the bathroom). Most care provided at nursing homes is custodial care. While this is not a viable option for most people, some can essentially create their own long-term care insurance fund by putting earmarked savings into a special account for that purpose. If you are considering self-insurance, work with an experienced financial planner who can help you properly quantify expenses. There is no “one size fits all” approach for financial planning, and that is particularly true when it comes to long-term care. 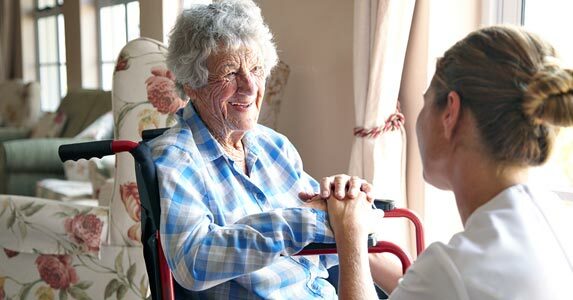 I recommend that you begin by considering your options and speaking with your loved ones about what would happen if you (or your spouse, or your parent) were to require extended skilled nursing care or help with daily living. This is a tough subject, but one that’s best raised before you get that dreaded middle-of-the-night phone call. No matter what your financial situation is, remember that you have choices. It is critical to understand your options and have a shared agreement with your family, especially if your loved ones are a part of your long-term care solution.